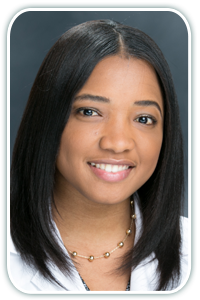 Home >> Providers >> Joane Buteau, P.A.-C.
Joane Buteau joined North Atlanta Primary Care in 2019. Joane was born and raised in Port-au-Prince. She moved to Gainesville, FL in 2005. Joane completed her undergraduate degree at the University of Florida with a Bachelors in Public Health. She attended to University of Sciences in Philadelphia where she graduated from their Physician Assistant program. Joane is a current member of the American Academy of Physician Assistants and the Georgia Association of Physician Assistants. Some of her medical interests include Gastrointestinal Diseases, and Women’s Health. In her spare time she loves to spend time with family, traveling to other countries, listening to music, and dancing.